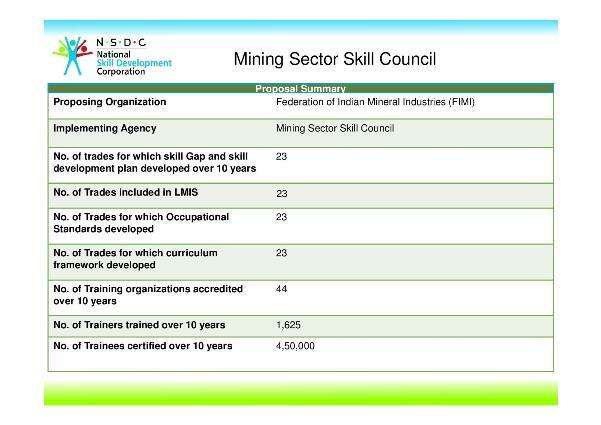 Taking cognizance of the demand and supply gaps of skilled workforce faced by the Mining Industry and inconsonance with the Government of India’s target of skilling 500 million workers by 2022 by setting up of Sector Skill Councils, FIMI as a responsible industry association took initiatives for setting up the Sector Skill Council in Mining. The Skill Council for Mining Sector (SCMS) funded by National Skill Development Corporation (NSDC) and promoted by the Federation of Indian Mineral Industries is a Non-Profit Organization, registered under Section 25 of the companies Act. 1956. SCMS is an apex body for skill development in the mining sector. The main task will be to develop skill competency standards and qualifications, benchmarking it with international standards and to work with the mining industry to train existing workforce and new inductees to fulfill the skill shortage in the industry in PPP mode. SCMS plans to up-skill and train approximately 4.50 lakhs people for mining industries including 50,000 new inductees to make them employable within a period of ten years. Develop National Occupational Standards (NOS) for the mining industry. Develop skill competency standards and qualifications requirements aligned to the needs of mining industry and statutory requirements. 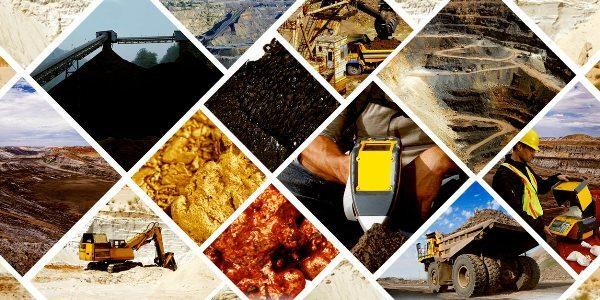 Initiate skill cataloguing for the mining industry. Create comprehensive 10-year skill development plan for the catalogued skills in the mining industry. Working with industry stakeholders, Government agencies and NSDC to set up a Labour Market Information System (LMIS). Standardize the processes of affiliation & accreditation and participate in these processes. Identify and create a pool of trainers, assessors and training providers. I’m working in Pvt firm. want to know in about Skill Council for Mining Sector Course details.